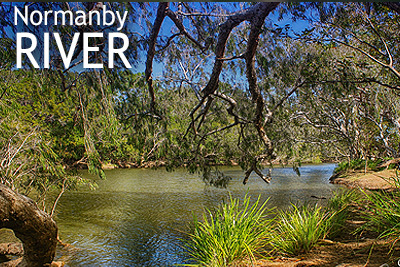 Pandanus Park War Veterans Retreat is situated on the eastern bank of the Normanby River near Rinyirru (Lakefield) National Park (CPYAL) and has approximately 11 kilometers of freshwater river frontage with most camps situated along the river bank. Road conditions and weather permitting access is permitted from ANZAC Day through to Remembrance Day each year though most Veterans arrive in the weeks leading up to Vietnam Veterans Day (18th August) when a Service of Remembrance to honor the fallen is held at the Pandanus Park War Memorial. NOT OPEN TO THE GENERAL PUBLIC. Australian Defence Force Veterans of the following conflicts and peacekeeping operations are welcome to attend. 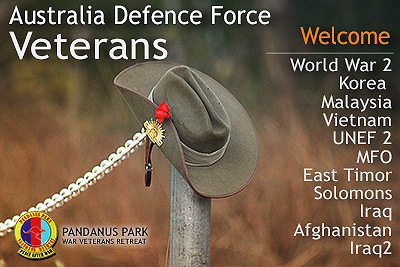 Though Pandanus Park is a retreat for Veterans who have served in the Australian Defence Forces, immediate family members of the Veterans are welcome but must be accompanied by the eligible veteran at all times. There is no fee for camping at Pandanus Park nor does one have to become a 'member' to camp there. 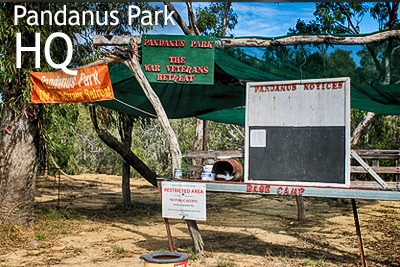 Pandanus Park is a BUSH CAMPING AREA with NO FACILITIES Provided. Pandanus Park is one of the unique ADF Veteran retreats provided for our service men and women throughout Australia. Veterans wishing to attend will require to bring all necessary gear to sustain themselves for duration of their stay. See our Campers Guide on recommended gear required for stay at Pandanus Park. Access to Pandanus Park is by 4WD.